Dan continues to discuss that it is now an uphill battle for the prosecution. Though, he clarifies, “This is not to suggest in any way that the prosecution should be throwing in the towel. 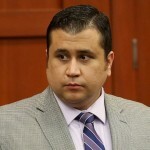 This week they will present evidence of inconsistencies in Zimmerman’s own account of what happened and if they find his story implausible that could spell trouble for the defense. Furthermore, jurors can give some witnesses far more weight than others.” Read the full piece here.